Resolution or no resolution you've got plenty of opportunities ahead! Whether you're a resolutions kind of person or not, the New Year brings great opportunities for you to start fresh and take a look at your business with fresh perspective. Need a little inspiration? 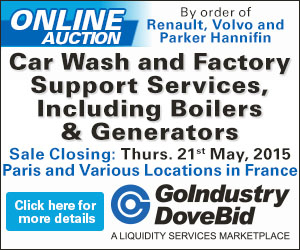 Check out the latest issue of CAR WASH Magazine! Visit http://www.nxtbook.com/naylor/ICWQ/ICWQ0417/index.php to view the full article online. Toyota’s Collaborative Safety Research Center (CSRC) has announced five new research prjoects focused on how drivers use and respond to advances in vehicle technology, including ADAS (advanced driver-assistance systems). Visit https://www.fenderbender.com/articles/9807-toyota-to-study-societal-acceptance-of-adas-connected-vehicle-technology to view the full article online. Hard Rock is proposing an new eight-pump gas station, 5,100-square-foot convenience store and 3,500-square-foot automated car wash on a 2.88-acre site in Atlantic City, N.J.
Visit http://www.pressofatlanticcity.com/news/press/atlantic/hard-rock-plans-gas-station-car-wash-for-atlantic-city/article_96dba274-c5db-5b23-8741-20114dff19fd.html to view the full article online. The owners of Notch Hand Car Wash in Lake City, S.C., are using their business to help keep young men off the streets and provide them with skills for the future. Visit http://wpde.com/news/local/lake-city-car-wash-gets-kids-on-right-track to view the full article online. Here, 15 members of Forbes Coaches Council share one key trait or skill they believe makes a person "CEO material," and how to best develop it. Visit https://www.forbes.com/sites/forbescoachescouncil/2017/12/29/if-you-want-to-be-ceo-material-develop-these-15-traits/#175b50dc4ed3 to view the full article online. 2017 was an epic year in leadership, both positive and negative. These 10 stories are a look back at 10 highlights and lowlights of a monumental year for leading in Washington and managing America's workplaces. Visit https://www.washingtonpost.com/news/on-leadership/wp/2017/12/18/10-memorable-leadership-stories-from-2017-2/?utm_term=.a7afa62bbb2b to view the full article online. The start of a new year, is the perfect time to look ahead and consider what trends and changes small businesses can expect for 2018. Visit https://smallbiztrends.com/2017/12/2018-workplace-trends.html to view the full article online. November saw the official rollout of Alexa for Business. It seems that Amazon hopes developers will create customized skills for Alexa to carry out at the workplace. Visit https://www.entrepreneur.com/slideshow/306350 to view the full article online. The Columbia, Penn. headquarters for Kleen-Rite was transformed into a local Toys for Tots distribution hub for five days in December. 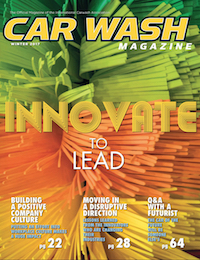 Visit http://www.carwash.org/car-wash-magazine/car-wash-news/news/2018/01/03/supplier-news-kleen-rite-becomes-toys-for-tots-hub-for-the-holidays to view the full article online. National Carwash Solutions has entered into a strategic partnership with Hi-Performance Wash Systems (HPWS). HPWS is the leading Distributor in the Rocky Mountain Region with a proven track record of profitable growth and exceptional customer service. 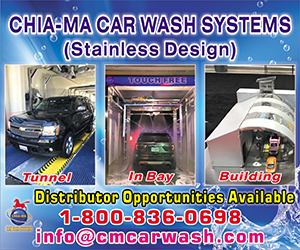 Visit http://www.carwash.org/car-wash-magazine/car-wash-news/news/2018/01/03/supplier-news-national-carwash-solutions-enters-into-partnership-agreement-with-hi-performance-wash-systems to view the full article online.